Popular Gastown gastropub, The Irish Heather is celebrating Ireland’s patron saint in a big way this year with their Long Table Series on March 17th. Running from afternoon until late, entertainments include Irish Regimental pipers, Irish dancers and live Irish music. Come in for a pint and a bite or reserve for one of the Long Table Series Dinner seats for a St. Patrick’s Day inspired meal. 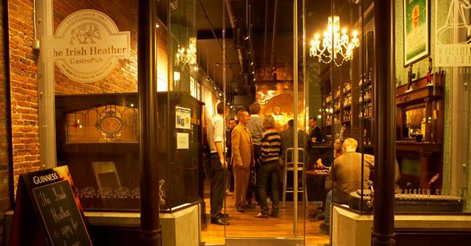 To accommodate a larger crowd, Irish Heather secured the art gallery next door for an “art installation pub” called Baby Heather. This is a sold out event every year so reserve your seats early!